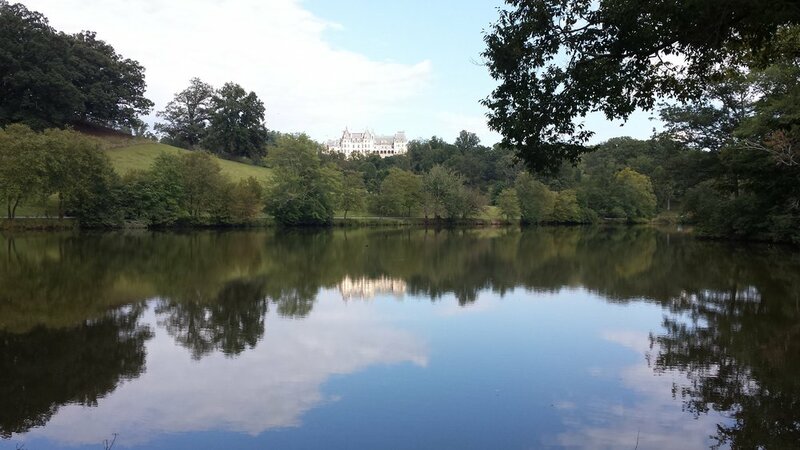 One of the joys of living here in the mountains of western North Carolina is our proximity to the Biltmore Estate. We are pass holders, which for a nominal yearly fee, gives us access to all that the estate has to offer including the magnificent house, gardens and all of the trails on the 8,000 acres that comprise the estate. I love driving onto the estate in the morning to run or walk the trails and be inspired by all that surrounds me. Here are some of my latest views.